To make it easy for you, Campbell Scientific offers complete cellular connectivity solutions. Data loggers are available with integrated modems and stand-alone cellular gateways that are all certified by carriers across the globe, including Verizon, AT&T, and T-Mobile. Low-cost subscriptions for cellular data service are available in over 185 countries and supported by over 600 carriers. 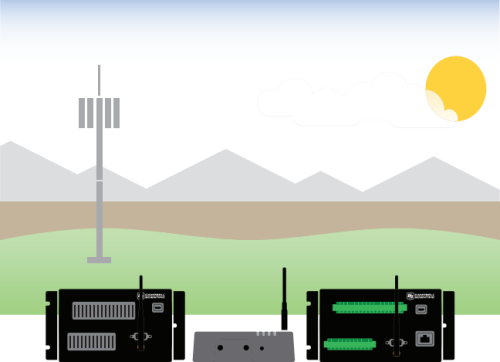 Secure two-way communication is enabled through the Konect PakBus Router Service. We make it easy for you to integrate our cellular products into your solutions.